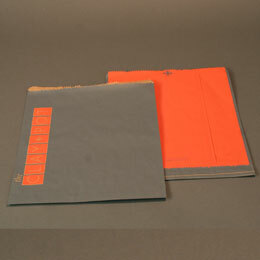 Made from 100% recycled paper with up to 73% post consumer recycled content. Up to 4 color flexo printing. Minimum order 6,000 bags per size. More than 20 standard sizes available. Made from 100% recycled paper with at least 50% post consumer recycled content. Available in recycled white paper shopping bags also. 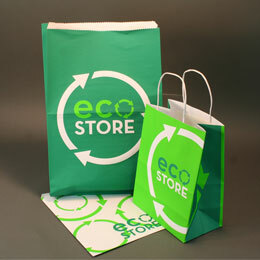 Click here to see our flexo print and art guidlines for recycled white merchandise bags. Up to 100% ink coverage. Up to 4 color flexo printing available. 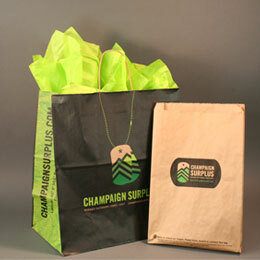 Bags are recyclable in in most community curbside recycling programs.